Oak Park and River Forest High School is a member of the Illinois High School Association (I.H.S.A.). 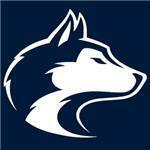 The school colors are Navy Blue and Burnt Orange, and the school mascot is The Huskie. The Athletic Department sponsors 29 sports programs, and 80 different team levels. The mission of OPRFHS Athletics is to enhance the total student experience by promoting the image of sportsmanship and the benefits of inter-scholastic athletics, developing and providing leadership opportunities for student-athletes and fostering activities that support school spirit. Oak Park and River Forest High School has a rich tradition in inter-scholastic athletics, and currently ranks third among all Illinois high schools with 50 IHSA State Championships.